In a large number of operations, it is necessary to supply or remove heat. The MP100 series can study up to four types of exchangers most commonly used in the industry. - a concentric tube exchanger. 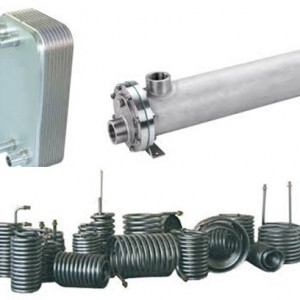 - tubular bundle heat exchanger with stainless steel grille with glass or stainless steel grille. - A coil heat exchanger. Electrical cabinet with temperature display, buttons, security system, emergency stop. Data acquisition option: digital demoders, temperature display on a 7 '' touch screen and transmission on a computer. Option: water heater group from 3 to 18Kw.